Despite all the jibes about Scots being unwilling to waste anything, there are some times when we CAN use the entire tomato! This recipe makes a savory, chunky sauce for those days when you want to get the tomatoes straight off the vine and right onto the pasta. If you are one of those folks who just can’t face tomato seeds and strips of peel on your plate of penne, then run the finished sauce through a food mill. You can also puree the tomatoes in a food processor before cooking. 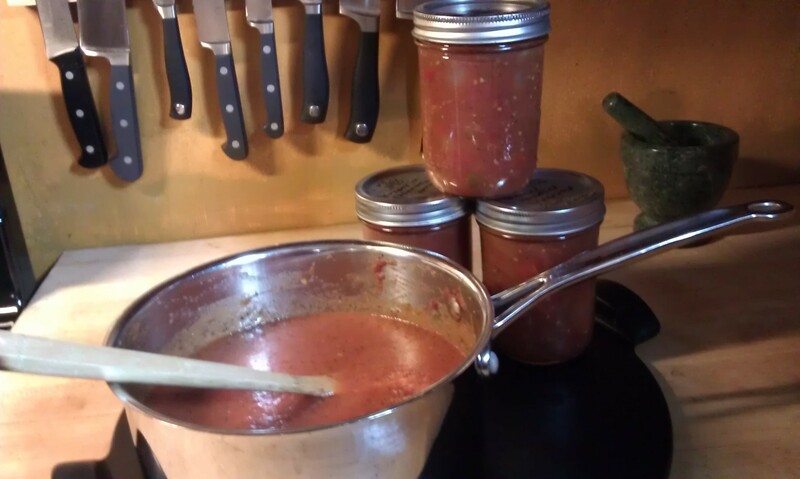 But if you are in the mood for a quick and hearty tomato sauce, then here it is.